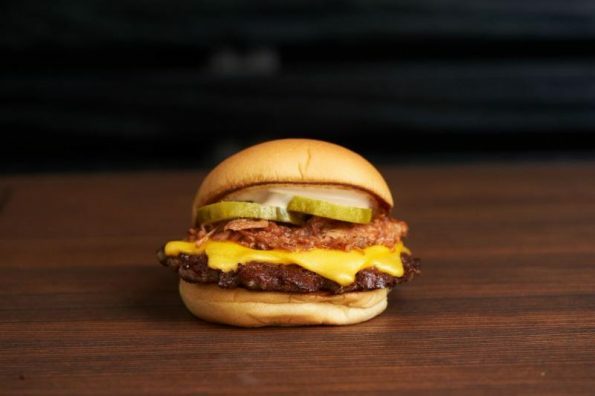 In collaboration with Al Roker and NBC’s TODAY, Shake Shack® is excited to announce the Roker Burger, available from Monday, August 22 to Friday, August 26, 2016 at all U.S. Shacks (‘cept for JFK, ballparks and stadiums). The Roker Burger ($7.49)is a 100% all-natural Angus burger topped with Niman Ranch BBQ pulled pork, double American cheese, red-eye mayo and pickles. Even better? $1 from every Roker Burger will support No Kid Hungry in its effort to end childhood hunger in America, where 1 in 5 kids in America are living in households without consistent access to food. NBC’s TODAY is the news program that informs, entertains, inspires and sets the agenda each morning for Americans. Airing live from 7 am to 11 am ET, TODAY reaches more than 5 million people every day through its broadcast, and millions more through TODAY.com, the TODAY app, and social media platforms. Matt Lauer, Savannah Guthrie, Al Roker, Natalie Morales, Willie Geist, Tamron Hall, Carson Daly, Hoda Kotb, and Kathie Lee Gifford are the anchors and hosts, Noah Oppenheim is the SVP and Executive in Charge, and Don Nash is the executive producer.